Most of us have already heard of an illness called scarlet fever. This condition, in fact, has already claimed a countless number of lives all over the globe. However, the high incidence of mortality with regards to scarlet fever is not due to the severity of the condition, but rather due to the lack of knowledge about this particular illness. Scarlet fever is caused by an exotoxin produced by streptococcus pyogenes, which is easily manageable by today’s antibiotics. Nevertheless, many lives still succumb to this ailment due to the lack of information about it. This is the reason why it is essential for us to learn how to determine problems such as this by knowing how to identify its major signs and symptoms. 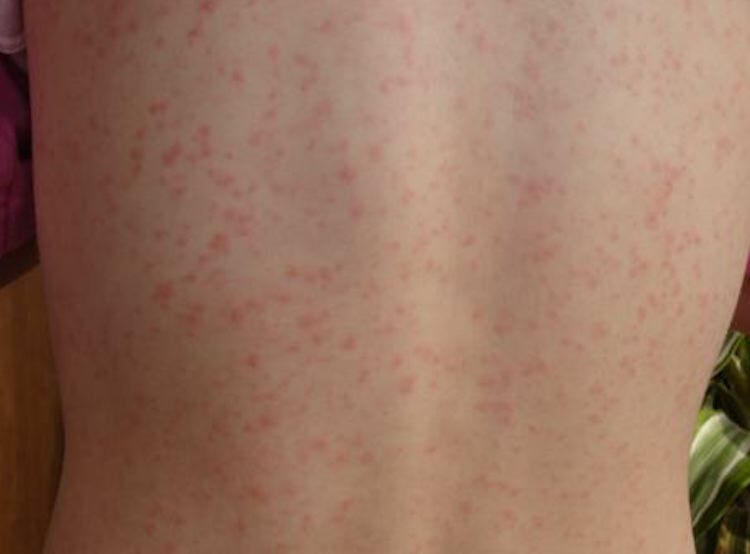 Red rashes are considered to be a good indicator of scarlet fever. These rashes are somewhat similar to sunburn in terms of appearance and also carry a sandpaper-like texture. These rashes are commonly located or spotted on the face that goes to the neck and will eventually spread to the trunk and the extremities. Once pressure is applied to the skin, it will turn instantly pale. Red lines are also common in this type of condition, which is usually seen in the folds of the groin armpits, elbows, neck and also the knees. These are usually darker in color, in comparison to the red rashes. This symptom is considered to be the pathognomonic sign or the main indicator of such disease. This is characterized by the red and bumpy appearance of the tongue, which is covered by a white coating which resembles a strawberry. Flushing of the face is also very common due to the red rashes accompanied with a white ring around the mouth. Based on its name alone, we can already tell that high temperature is present in this type of condition. Most of these temperatures are even higher than 38.3 degrees C.
A sore throat is also evident in some cases of scarlet fever. This symptom is somewhat related to strep throat since both illnesses are caused by the same species of bacteria. Dysphagia or difficulty in swallowing is also possible, which is linked to the soreness of the throat making it very painful to eat or even drink. This enlargement is related to the lymph nodes that are usually tender to touch. These are other common symptoms of scarlet fever. Now that we are aware of the common symptoms of this disease, it will be a lot easier for us to treat and manage scarlet fever as soon as possible. In case you have observed some of these signs in our body, it is advisable for you to immediately seek attention from your health provider, especially when your body temperature is already more than 39 degrees C.
How can we treat scarlet fever? Scarlet fever is usually treated with a 10-day course of antibiotics such as penicillin or amoxicillin. Because some the symptoms above can be caused by viruses (which are not treatable with antibiotics) it is important to make sure that the cause of your symptoms is actually scarlet fever before taking antibiotics. Filed Under: Conditions and Diseases Tagged With: effects of scarlet fever in adults, facts about scarlet fever, How can we treat scarlet fever?, signs of scarlet fever, Symptoms of Scarlet Fever in Adults, what is scarlet fever?